Did you want to try paddling but unsure where to begin? Kai 'Opua Canoe Club offers recreational paddling each weekday and Saturday mornings (click here for our current times & schedule) at the Kamakahonu Beach next to the King Kamehameha Kona Beach Hotel. If you are someone new to the area and want to try our club, or a novice who has never held a paddle before, come down and experience true Hawaiian culture and history first hand in a friendly, relaxed enviroment. 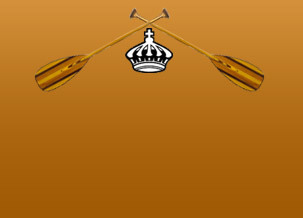 We offer these sessions as a way to stay in shape, meet new friends and fine-tune our paddling skills. All we require is that you complete and sign the waiver below to begin. Bring the waiver with you to your first session and give our club a try for free for up to 4 times. And don't forget to bring a few dollars for the morning coffee & conversation afterward! There is no better way to start your day than a paddle on the ocean under the majesty of a Hualalai sunrise. So what are you waiting for, come give paddling a try! *Please note - while we make every effort to fit all newcomers and guests on the canoes, paying members do have precedence during the few times when there is limited space available. Mahalo for your understanding. *Note, please read the waiver in its entirety and complete the form on the bottom of the page and sign. We require one waiver per person. Click on the link above to see the location of the parking area between Kuakini Highway & Likana Lane.